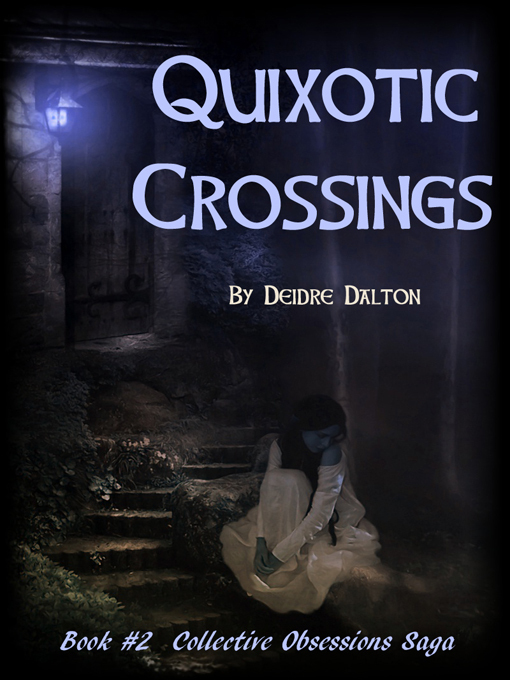 The Collective Obsessions Saga continues with book two, Quixotic Crossings. After the death of family patriarch John Larkin in 1926, the strains of madness filter their way into second and third generations of the irrevocably entangled Larkin and Sullivan families. Colm and Molly's grandson Jean-Claude Sullivan finds his life driven by greed and perversely tainted pleasures, while Molly's coldly-calculating nephew Patrick Larkin propels the family business to impressive heights as he fosters a new generation with his wife Colleen McGarren. Murder, obsession, self-indulgence and avarice continue to haunt the Larkin and Sullivan families. Patrick has an affair with his wife's sister Phoebe McGarren but is then rendered less than a man after an accident. He retreats to the attic in the family mansion to ponder his fate much like Molly Larkin did before him, where he becomes increasingly ominous yet ever vigilant. Beloved family chef Claude Mondoux watches helplessly as Colm slowly loses his mind in ghostly visions of Molly Larkin, while Colleen seeks love in the arms of another man with deadly consequences. Click here to read excerpts from Quixotic Crossings. 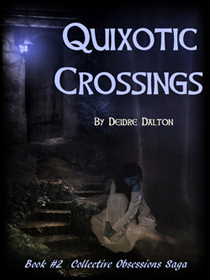 Quixotic Crossings by Deidre Dalton is available from Amazon, Barnes & Noble, Kobo Books and Smashwords. ©2016 Deidre Dalton. All Rights Reserved. Webmaster: Webs Divine.